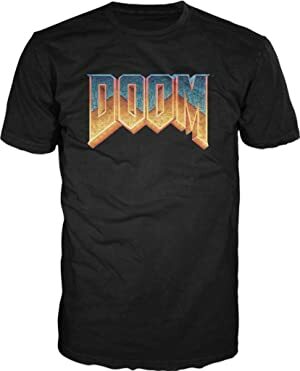 Released in 1993, Doom is one of the most seminal video games. 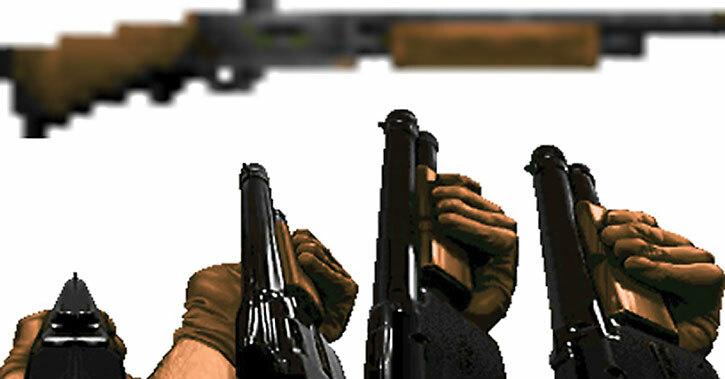 Its gameplay, technical, marketing and look-and-feel innovations were numerous, and helped define the First Person Shooter genre – which remains the most popular video game genre to this day. It was the successor of the Wolfenstein games. The story was minimal, as was the Player Character. The point was to shoot armies of demons with an arsenal of guns in nightmarish labyrinths. And we liked it that way, dangit. 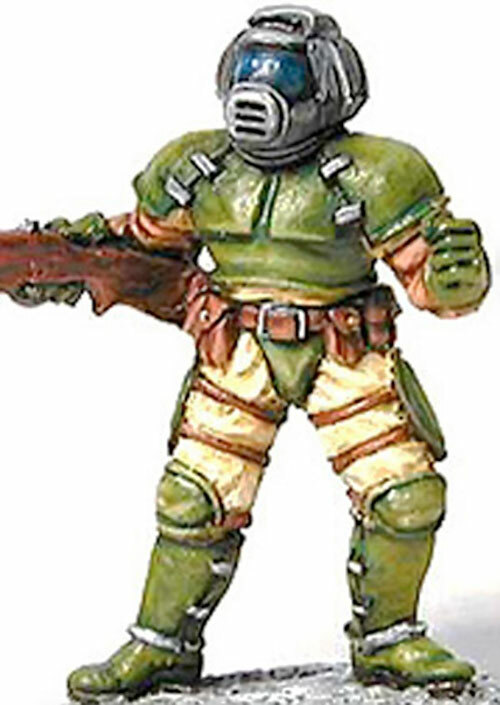 There exists other versions of the DooM space marine (aka “Doomguy”, aka the Doomed Marine). 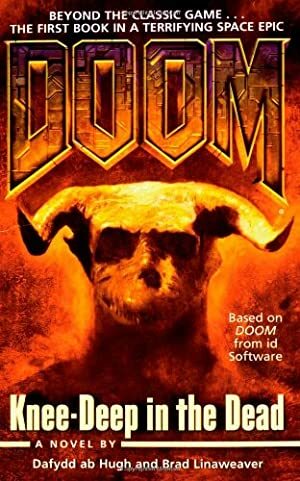 These include the protagonists of Doom 3 and its extension, the character in the novelisation, the character in the movie adaptation, whatever might exist in fan fiction, etc. But this profile focuses on the original, nameless, silent protagonist. Known Relatives: Possibly (possibly !) William B.J. 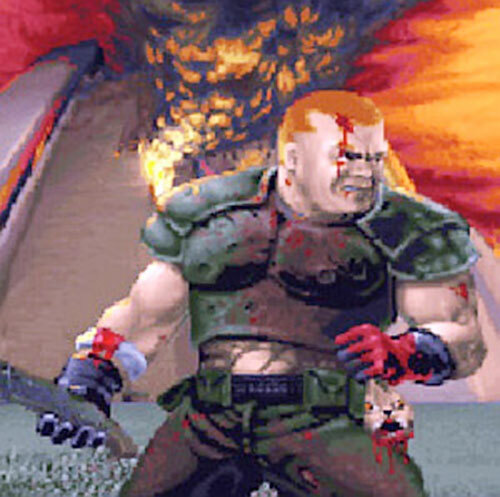 Blazkowicz (ancestor). Group Affiliation: United States Space Marines Corps. Base Of Operations: Military base on Phobos, later Earth’s only ground spaceport. Height: Around 6’2” Weight: Around 230lbs. The space marine is a big, beefy leatherneck with a “Never say die” attitude. He’s one of Earth’s crack soldiers, hard-bitten, tough and heavily armed. 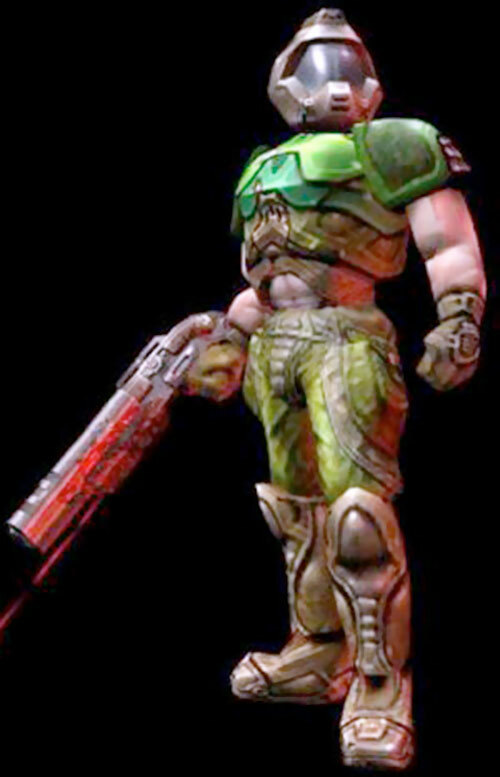 Although he’s pretty much shell-shocked by the time of DooM ][, he still has an impressive ability to wield an arsenal of close combat weapons and kill, kill, kill and kill again. His coolness under fire, durability and coordination are remarkable. 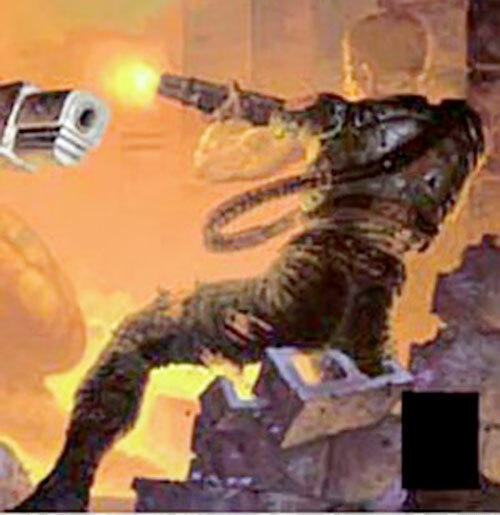 The marine wields an odd mix of law enforcement weapon and experimental energy weaponry – see the DooM Weapons Locker article. 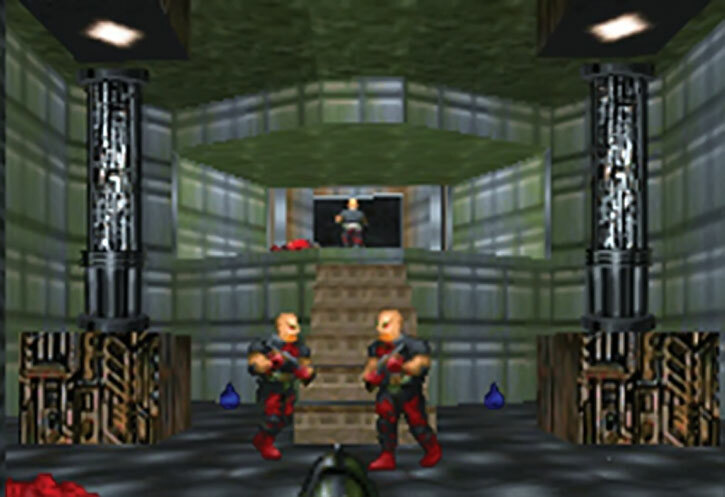 This profile is written from a 1990s perspective, when the movement speed in DooM was still considered the norm for FPS games. 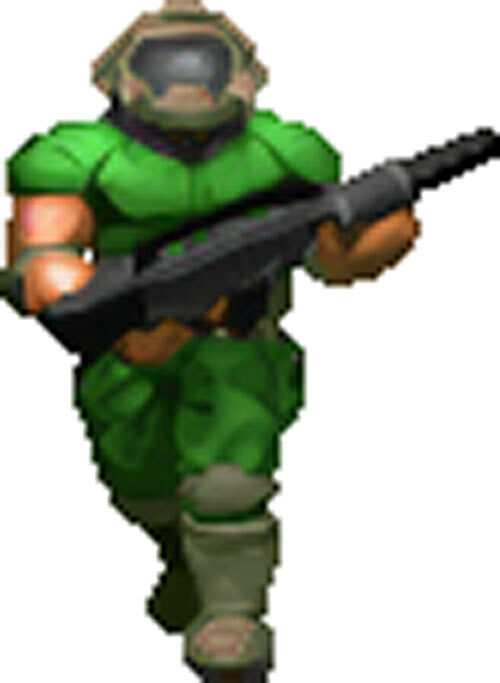 However, many later games would angle for greater realism, which means that in hindsight the DooM marine moves real fast. This isn’t just an impression. The usual scale speed calculation has the marine running at… 80km/h (50mph). Not too shabby, especially since the same is true when strafing or backpedalling. For those wanting to emphasis this, add to the BODY ARMOUR’s game stats the Running: 05 Power, with a +1 Bonus that it also applies to sideways and backward movement. This speed is already taken into account in the so-so AV of many DooM creatures, and the Marine is able to Lay Back against most of those, representing the evasive, dynamic nature of DooM combat. 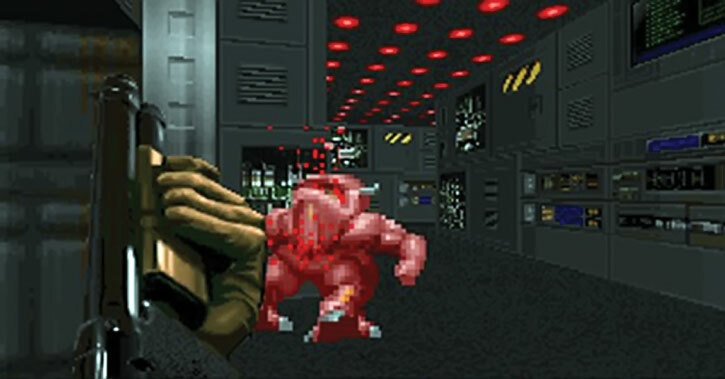 For readers unfamiliar with the original Doom games (or experiencing nostalgia), here’s some quick footage. I hadn’t played in many years and didn’t remember most of the secret areas, but it’ll give you a good view of the first two levels. The Doom series takes place in a not-too-distant future. Union Aerospace Corporation (UAC), a multi-planetary conglomerate with too many ties to the government, was using a military base on Phobos (a satellite of Mars) to conduct experiments with ground-breaking teleportation technology — actual inter-dimensional space travel. The military and UAC were able to open gateways between Phobos and Deimos, throwing a few gadgets into one and watching them come out the other. However, after a few weeks, the gateways grew dangerously unstable. Military “volunteers” entering them either disappeared or were stricken with a strange form of insanity. Such stricken individuals babbled vulgarities, bludgeoned anything that breathed, and finally suffered an untimely death from full-body explosion. Matching heads with torsos to send home to the folks became a full-time job. However, military reports stated that the research was suffering a small setback, but everything was under control. A few hours after the last statement of this type, an experiment resulted in probably the biggest botch in history. It inadvertently opened a gateway to Hell. Soon afterward, Deimos simply vanished from the sky. The very few combat troops available were rounded up and sent to Phobos. Their job was to secure the perimeter of the base housing the lab. After hours of intense combat, the demons overcame the military forces assaulting the base. They began to set their sights on Earth. Unfortunately for them, there was one survivor. This man was a particularly tough marine, who was ordered to protect the rear of the assault elements. Three years before, he had assaulted a superior officer for ordering his soldiers to fire upon civilians. The officer and his body cast were shipped home, while the marine was transferred to Mars, home of the Union Aerospace Corporation. With no action for 50 million miles, his days consisted of suckin’ dust and watchin’ restricted flicks in the rec room. Until the crisis on Phobos. 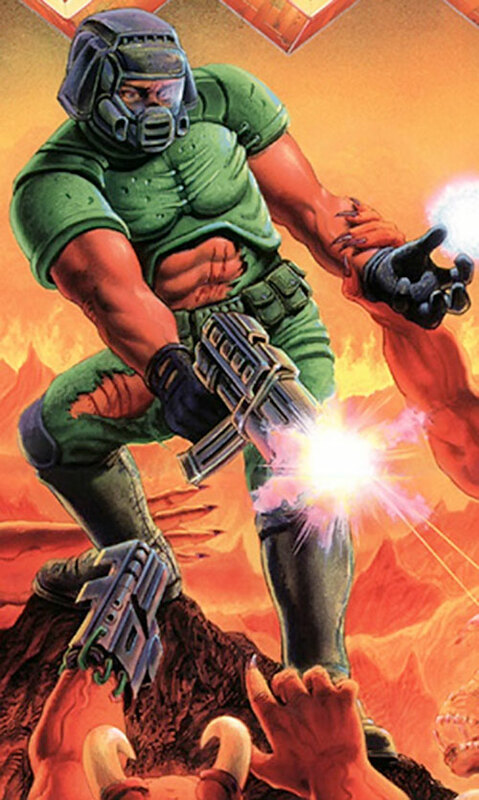 Knee-deep in the dead, and originally armed only with a pistol as all the heavier weapons were taken by the assault teams, the marine managed to blast his way through armies of demons and stop the invasion. Mars and the rest of the solar system were thought safe, and he was made a war hero. However, the dauntingly violent and stressful experience had taken its toll. The marine took a leave of absence from the military a few months later and went back to Earth. The marine’s drop pod landed just outside his home city. The first thing he met was bands of refugees heading out of the metropolis, which was consumed by flames. He quickly met his first undead, legions of which were marauding all over the planet. Hell had found another way to invade, and this time had directly targeted Earth. Billions were dead, most of them transformed into flesh-eating undead mutants. Even Daisy , the marine’s little pet bunny back on Earth, had been massacred. A few people were still alive and fully human. United behind the surviving leaders of Earth, they had a plan : leave Earth aboard a few ragtag generation ships . Unfortunately, there was but one ground-based spaceport on Earth and the demons had erected a barrier of flame around it, making it unusable. 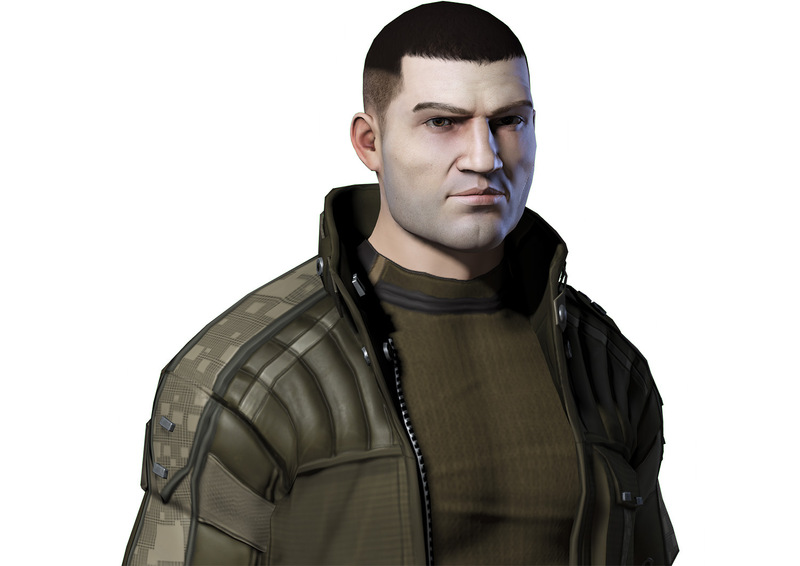 They begged the marine to take charge of the remnants of Earth’s soldiers on an assault on the starport. The goal of the ragged fighting force was to destroy the flame barrier and allow the generation ships to soar for the stars, though the assaulters would be left behind. The desperate assault went badly. The soldiers were scattered during heavy fighting and died inside the starbase. However, the marine was still alive. Although alone, he again was humanity’s last chance. He his way into the heart of the starbase. There, the marine found and disabled the demonic techno-magical machinery that was projecting the barrier. Watching the ships bearing the rest of humanity fly into the ether, the marine took solace in the knowledge that he’d saved them even as he prepared for a final stand against the hellspawn infecting his world. The marine was pulled out of his rêverie by a message from the fleeing spacecraft. Their sensors had narrowed down the location of the gateway to Hell that the demons were pouring through. In a stroke of luck, the stygian portal was located in the city beside the spaceport. With renewed hope the marine worked his way through the city. It was a new kind of fighting, trading the close-quarters battle of the Mars base and starport for the wide-open killing fields of the metropolitan streets. After ducking the thousandth sniper shot by a demonic grunt, the marine found himself getting oddly nostalgic for the killing boxes he’d so recently escaped. The marine began encountering smaller portals between Earth and Hell on his way to the main Gate. He used this opportunity to slip back and forth between dimensions, evading pursuit. During these trips, the marine ended up in an isolated part of Hell populated by Nazis. The marine wasn’t sure what delighted him more, seeing these filth languishing in Hell as the lowest form of demons or watching them die a second time as he cut through their ranks. Wading through the ichor of slaughtered monstrosities, the marine arrived at the main Gate and plunged into Hell. There, he found the dread Baphomet at the heart of the alien army. The gigantic demon’s body was enmeshed with a mountain of artifacts imbued with the foulest magic. Baphomet was immobile but not defenseless ; he bombarded the marine with an army of demons continually teleported on to the field of battle. The marine would not let himself be stopped by such desperate measures and in the end a well-placed rocket slipped through Baphomet’s defences and utterly annihilated the demonlord’s brain. With the demons literally blown back to Hell, humanity returned to Earth and began to rebuild civilization. All the top management members of the UAC were dead, as were most of their personnel down to the janitors. Nevertheless, the corporation survived, now under strict government supervision. The UAC still sought the secret to matter apportation, and continued its experiments under vastly increased safety measures. The UAC’s base was set up on one of the moons of Jupiter. The idea was that the increased distance would enhance Earth’s safety if something went wrong. Marines were stationed at the base, ready for anything, trained and led by the marine who had beaten Hell twice before. Soon after the UAC opened its first Gate, the minions of Hell made their first attack. Suddenly, through the Gate flowed spiked, fanged, dripping techno-terrors. Meat machines flailed their armored limbs and slavered with bloodlust, seeking soft bleeding manflesh to rend. But in their seeking, they found only death. The Space Marine Corps was prepared for such an event, and they poured molten death into the hordes of Hell. More demons massed, hoping to overwhelm the defenders by their endless numbers. But mass alone was no match for the marines. Set up in defensive positions around the gate, the marines were able to slaughter the monsters by the hundreds, taking few losses. Hell had failed. The research went on, more boldly and less cautiously. All the marines received the Silver Star from a grateful government, and the UAC made an enormous contribution to the Veteran’s Fund. The defensive positions were strengthened, and the marines watched closely for another attempt, all their attention drawn inward towards the Gates. They were looking in the wrong direction. Months after the Gate incident, the yearly supply ship came ahead of time. On radar, the ship looked far larger than usual. And it was coming from the wrong direction. The lax radar operators reported the ship’s approach, and personnel went out to the landing field to meet it. The men and women looked up at it, and saw that something was terribly wrong. The ship could not have come from Earth. It was huge, kilometers long, and was built of bone, steel, flesh, corruption, and death. It was a bio-mechano-magical construct from the depths of Hell and it had come through space for its vengeance. Enormous doors, large as football fields, raised open and hideous demons poured out, plunging to the ground and blanketing the entire base with their throbbing, pulsing bodies. The marines’ defenses, set up to prevent an attack from the direction of the Gate, were worthless. The monsters poured through the sewers, the air vents, the hallways, everywhere, rampaging, corrupting, and feasting. Once more, the surviving humans were left as zombified brain-dead monstrosities, existing only to kill and kill and kill. 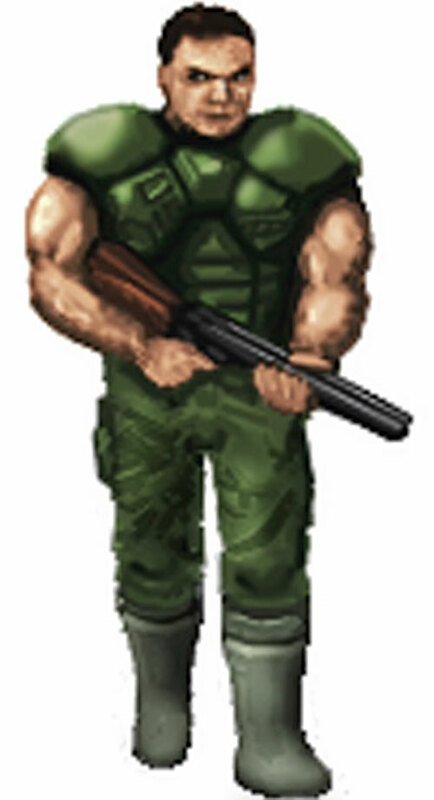 Only one man escaped death or zombification : the marine commander. He wasn’t at the base when the skies opened and devastation poured from the stars. He was miles away, enjoying a walk across the moon’s rough-hewn landscape when he was attacked by an Imp. Dispatching the demon and hot-footing it back to the base, the marine realized what had happened in a flash. The marine entered the base with pistol in hand, intending to avenge his men and thwart the demons one more time. The marine caught the hellspawn attempting to use the Jupiter Gates to reach Earth. The marine quickly put a stop to this, going through the newly-established Gates to Egypt and the Caribbean and killing the Demons that were trying to set up a beachhead on Earth. The marine then returned to Jupiter through the Gates to finish his mission. Charging into the heart of the Jupiter base, the marine found another demonspitter like Baphomet, though fortunately much weaker as it was just establishing itself in the base. Shooting his way through the hellish guardians of the demonspitter, the marine once again plunged a rocket into a demonlord’s brain and brought another invasion from Hell crashing down in abject defeat. After Hell’s third catastrophic invasion of the solar system, the United States took steps to prevent such an invasion from recurring. The old UAC corporation was restructured under completely new management. Since the old trustees and stockholders were all dead, this wasn’t much of a problem. The UAC was sent to the farthest reaches of the solar system to conduct their research, setting up a base on Pluto. With Plutonia Base firmly established, the new UAC began working on quantum accelerator (QA) devices, intended to close interdimensional gates at a distance and so prevent future incursions forever. The project began innocently enough. In order to learn how to close gates, the scientists naturally had to relearn gate technology first. Beings from outside had their dire attention drawn to the new experiments, and one day a gate opened in the heart of the research complex. But the UAC scientists had learned their trade. The Quantum Accelerator Device performed perfectly in its maiden test. The invasion gate was closed instantly and permanently when the Accelerator flicked on. A cyberdemon, halfway through, was snipped in two when the Gate closed. Earth would now be safe from invasion by Hell. Or so the scientists thought. The next day, a ring of seven Gates opened throughout the base and a monstrous legion rampaged through. The Quantum Accelerator began putting out the Gates at once. Within an hour, six were closed. But the hellish army was now too strong, too numerous. The marines fought like mad dogs, but were finally pulled down by the enemies’ claws. The scientists, marines, and bureaucrats were all slain or transformed into undead mankillers. A demonic Gatekeeper emerged and laid claim to the base in the name of Hell. The marine was on leave at the beach, only a few minutes from the complex, when he got the word about the latest invasion. He arrived at the complex and was greeted by flashes of light, howls, and chanting emanating from the interior. Obviously the Gatekeeper was doing something inside. Something that would soon reach some kind of awful climax. Within an hour or two, an entire division of marines would arrive to assault the base with full artillery and air support, but they would be far too late. One last time, the marine had to storm the gates of Hell. Despite Hellish resistance, the marine fought his way into the depths of Plutonia Base. He slew the Cyberdemon guarding the QA labs. Alas, the prototype accelerator he needed to close the final Gate was hidden elsewhere. In one of the most fiendish challenges he’d ever faced, the marine ended up playing a cat-and-mouse game with a small legion of Archviles in a claustrophobic maze. The marine destroyed this collection of the most fiendish of hellspawn and found the QA prototype. With palpable relief he activated the device and closed the last Gate. The marine’s battle was not over yet. He still had to find and kill the Gatekeeper before it could spawn more minions or reopen a Gate. He swept Plutonia Base and found to his horror that the Gatekeeper had managed to warp itself to Earth. The marine followed the hellspawns’ trail, catching the demons off-guard as they consolidated their hold on the Earthly city they’d Gated into. He cleared the city of its monstrous invaders and tracked down the lair of the Gatekeeper. It was an all-too-familiar tale of a marine squaring off with a monstrous mountain of malevolent machinery that spat demons in its defense. It had the usual happy ending — the marine standing with a smoking rocket launcher, watching the explosive charge destroy the Gatekeeper’s brain and banish the remaining demons back to Hell. The marine walked away, making a mental note to have his grandchildren include a rocket launcher in his coffin when he dies so he can do a little cleaning if he goes to Hell. 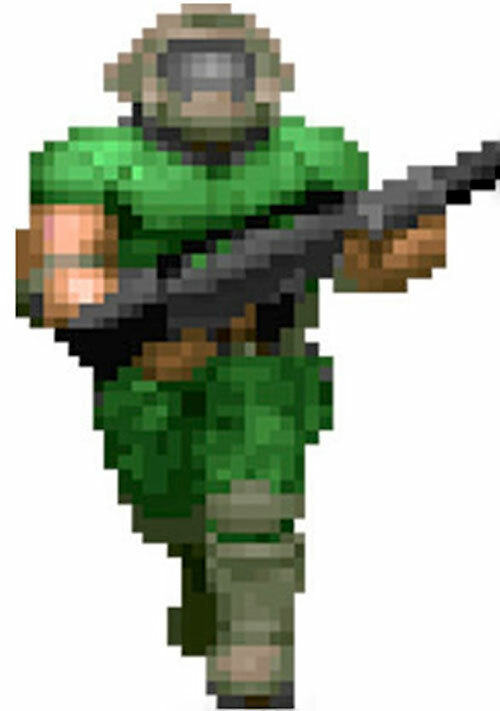 A beefy guy with a gray combat helmet, clad in grayish green combat armor and pretty much bristling with weaponry (and ammo – lots of ammo). Most of his moves are pretty much instinctive now, and seeing him shoot while moving or reload his weapons in an heartbeat while dodging fire is quite impressive. Get some ! 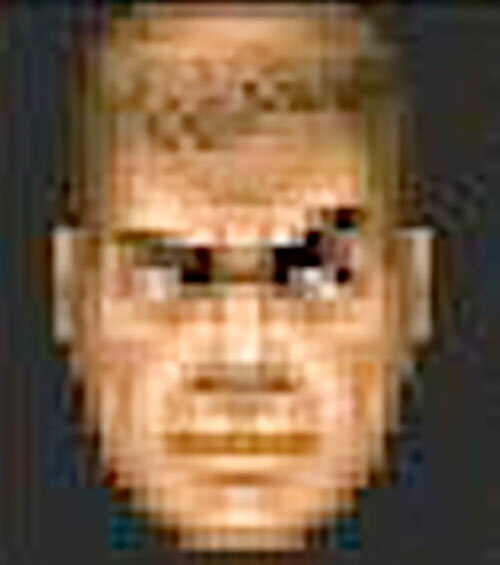 The DooM guy has no name, no personality and practically no past. He’s faceless to most people he meets thanks to his combat helmet, though the player can see his mug. That’s just how he rolls. Fighting is etched deep in his instincts ever since the first few hours of combat on Mars. He’s a collection of extremely precise and fast moves and maneuvers. His disassociation and emotionlessness are such that he’s willing to take on massively powerful entities and win. 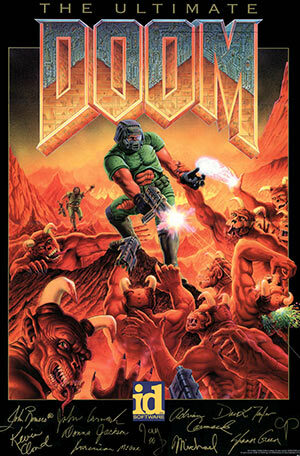 The DooM story could be set somewhere in the future – or it could happen in the present, only on a much smaller scale. Instead of the entire planet being ravaged, Earth might “only” lose a few dozen square kilometres of wilderness (standing in for Phobos) and a nearby burg (standing in for Earth). The evacuation plot might have involved busses rather than generation ships, and taken place at the bus depot rather than at the starport. When you’re in the streets of your hometown with demons running around and everyone dying, that the plot is local rather than global makes very little difference ! The tests would presumably be run by Lexcorp, or perhaps S.T.A.R. If you want something less obvious, Cypher International (from Checkmate volume 1) is another evil corporation with a lot of R&D. 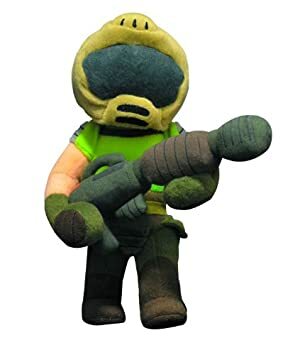 With this reduced scale the protagonist could come from any military reputed for its tough guys, depending on the country where the action takes place — US Marines Corps, French Foreign Legion, British Royal Commandos, Russian Spetsnaz, Israeli Sayeret Matkal, Brazilian 1st Special Forces Battalion, etc. If the protagonist is an operator hired by a PMC, location may not even count. For a little twist, there might even be super-heroes present and working to contain the situation. But it’s one of the nameless, faceless guard types everyone assumes have all been massacred who is busy fighting deep within enemy lines as the heroes are outside saving lives. Familiarity (types of demonic invaders), Iron Nerves, Rank (original Rank undisclosed, later seems to be the equivalent of a Captain with the human forces since there was at best a company left), Schtick (Double Tapping (pistol), Lightning Reload). Exile (to a Phobos unit, as the story begins). After DooM he has PTSD issues – a Minor Rage and MPI. BODY ARMOUR [/BODY/ 08 (Hardened Defences), Shade: 01, Limitation: Physical RAPs on the Character are spread between the armour’s BODY and the Character’s BODY, starting with the armour (-2)]. The ARMOUR can also interface with the weapons (providing a crosshair, ammunition count, etc. but that has no benefits in RPG terms. SPIKED BRASS KNUCKLES [BODY 06, EV 02 (05 w/STR)]. LIGHT AMPLIFICATION VISOR [BODY 02, Ultra-vision: 04, R#03]. The visor will usually burn out in less than ten Phases. Medikit [BODY 02, Ammo: 01, Advantage : Enhanced Conditional Recovery (reduces the cost of Desperation Recovery to 5 HPs when used, 50 pts)]. Berserker Pack [BODY 02 /STR/ 08, Ammo: 01, Advantage : Enhanced Conditional Recovery), Limitation: /STR/ only lasts for a dozen Phases or so]. RADIATION SUIT [BODY 06, Sealed Systems: 04]. The suit will usually develop tears making it useless in about fifteen Phases. Invisibility Sphere [BODY 08, Invisibility: 06, Ammo: 01, Limitations: Invisibility is Self Only and only lasts for 15 Phases)]. 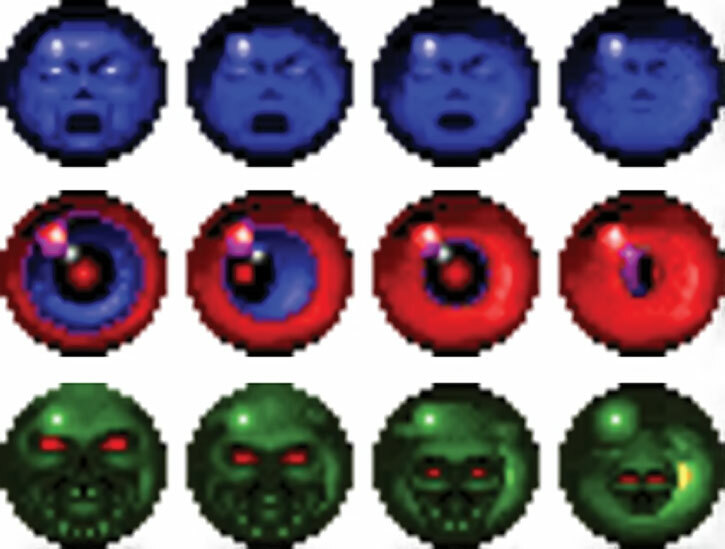 Invulnerability Sphere [BODY 08, Force Field: 15, Ammo: 01, Bonus : Can attack through Force Field ; Limitations: Force Field is Self Only and only lasts for 15 Phases]. Supercharger [BODY 08, Damage Capacity: (Linked to user’s BODY), Ammo: 01, Note : the Damage Capacity can be accessed by the user for the RAPs scored against him]. Megasphere [BODY 08, Damage Capacity: (Linked to user’s BODY), Damage Transference: 06, Ammo: 01, Bonus : Damage Transference has No Time Limitation, Note : the Damage Capacity can be accessed by the user for the RAPs scored against him, while the Damage Transference is used by the Megasphere on the wielder]. Ammo: 01 for these artefacts means the wielder gets one use of the item and all the Powers it may contain. Such Powers run for their normal duration (although some have a limited duration as a Limitation, as noted). In Damage Capacity’s case, “one use” means enough RAPs to fill up the Damage Capacity, accrued over any length of time. 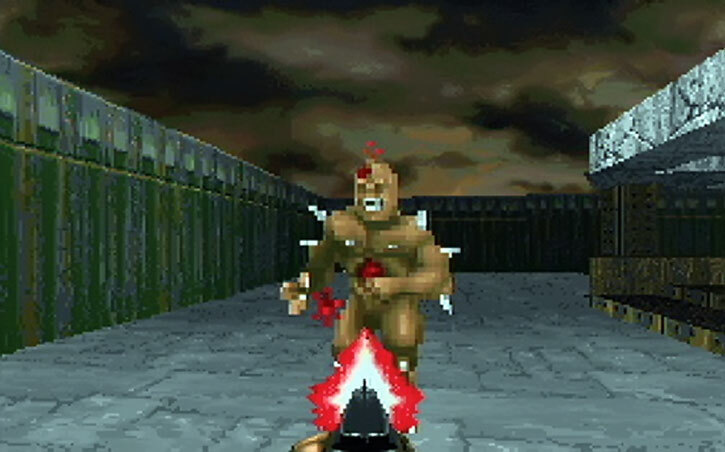 Each Doom level constitutes its own adventure, with its own HP award. This is important to the story – the marine had a solid flow of HPs backing him, allowing for a lot of Desperation Recoveries with medikits and a bunch of Pushing and LDD. If using these mechanics in your game, lowering the FC of STR by 3 and increasing the FC of BODY by 2 sounds about right for character creation. This has not been playtested, however. 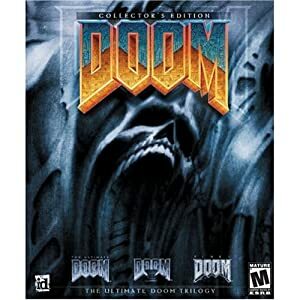 Source of Character: The video game classics : Ultimate DooM (that is, DooM plus the Thy Flesh Consumed episode), DooM ][, Final DooM (TNT and the Plutonia Experiment). 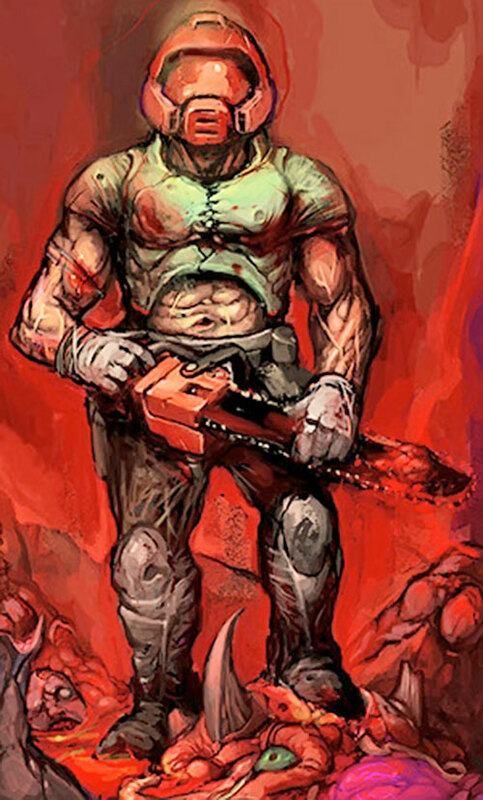 Helper(s): Peter Piispanen, Mike Semchuk, the DooM game manual and the DooM wiki (doom.wikia.com). 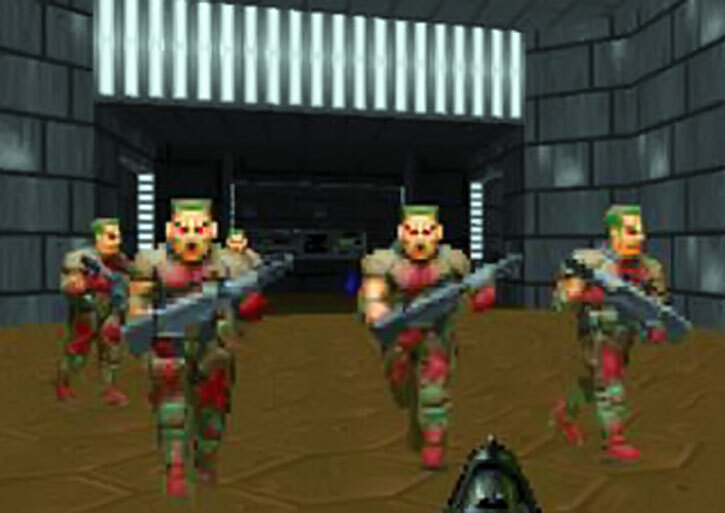 The sprites used are the ID Software sprites as rendered by Elite Sniper 177.